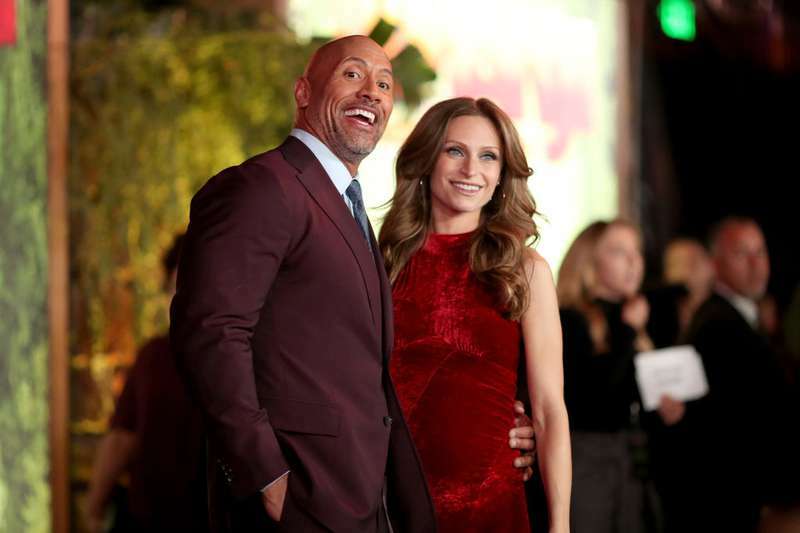 Professional wrestler and actor Dwayne Johnson, popularly known as 'The Rock', and his pregnant partner Lauren Hashian looked adorable on ‘Jumanji’ premiere. Recently, Dwayne and Jasmine Johnson announced the coming of another baby girl in their family. This announcement set the internet on fire, and the post gathered about 3 million likes and thousands of comments. The megastar and his pregnant girlfriend attended the ‘Jumanji’ premiere that was held on 11th of December. Dwayne looked smart and charming in his wine coat, while Lauren was all shades of beauty in a red body-hugging gown. It was evident that the couple can’t get enough of each other as they posed for pictures. It may be because of the pregnancy; Dwayne did not let Lauren be out of his sight for a second. Simone Garcia Johnson is the only child from Dwayne’s first marriage. Her mother, Dany Garcia, is Dwayne Johnson’s producing partner and manager, though they are no longer married. 'The Rock' posted on Instagram that he was really proud of his 16-year-old daughter who became the first-ever Golden Globe Ambassador. The megastar actor is fond of gushing about his beautiful daughters. He claims to enjoy having beautiful estrogen and loving powerful female manna, and won’t have it any other way.